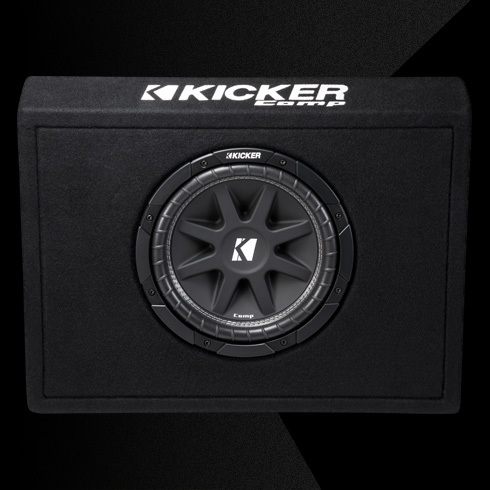 KICKER® Comp sub boxes deliver the goods with three models made to fit any car or truck. 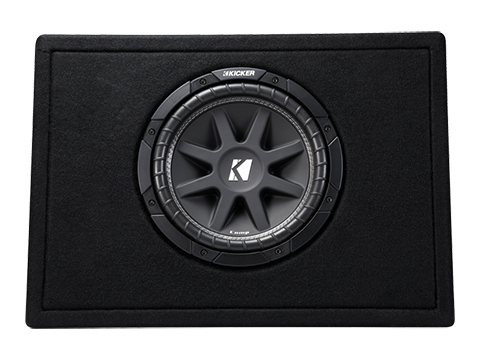 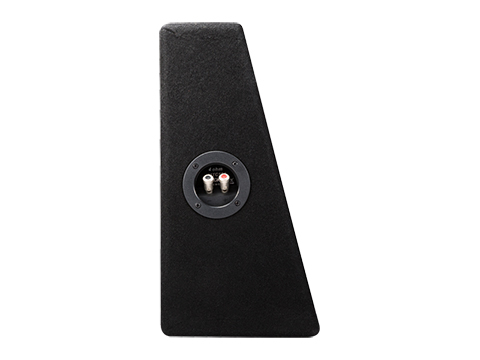 The 2016 Comp 10-Inch Subwoofer Enclosure comes loaded with a single 4-Ohm terminal. 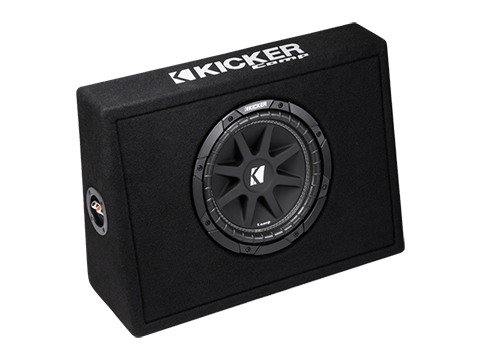 With a powerful KICKER Comp sub behind the truck bench, this thin Comp sub box delivers both convenience and raw power - all in the one package. 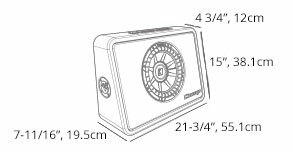 The Comp 10-Inch Loaded Enclosure works best with 150 watts of recommended power.